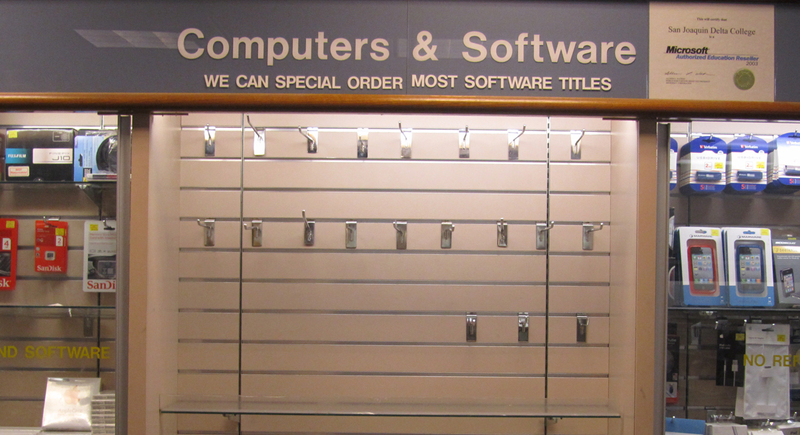 Despite the Sept. 25 break-in at the campus bookstore, where two masked men smashed a door with a hammer and took iPods and a laptop, campus crime is down, according to Director of Police Services and Public Safety Programs David Main. “In many of the areas, it [crime] remains relatively low on campus,” Main said. The 2010-2011 Clery Act report, which is a federally mandated report on campus crime statistics, shows data supporting the downward trend. Auto thefts were down to 10 in 2010 from 21 in 2009. Robberies were down to two from four. Bike thefts, however, are on the rise, with 33 bike thefts reported from 2009 to 2011. Main said such preventive measures include rescheduled shifts and more patrols, including a full time bike rack patrol, to make police officers more visible on campus. Main also urged students to be aware and cautious. Stockton is ranked the 10th most violent city in the nation by the Federal Bureau of Investigations for it’s high violent crime rate. Main also said the campus police are looking into ways to better communicate with the campus community, such as making crime logs available online, updating the website to be more informative and accessible, and making campus police more available to lecture in classrooms or at events about safety. The Clery Act report is available for viewing at http://www.deltacollege.edu/dept/police/statistics.html. 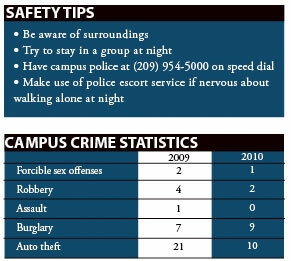 For more information, or to report a crime on campus, Delta’s police department can be reached at (209) 954-5000.